In this June 7, 2017, file photo, FBI acting director Andrew McCabe listens during a Senate Intelligence Committee hearing about the Foreign Intelligence Surveillance Act, on Capitol Hill in Washington. Former FBI Deputy Director Andrew McCabe said in an interview that aired Thursday he moved quickly after his boss was fired to protect an investigation into President Donald Trump's ties to Russia and prevent it from being shut down in case he, too, was dismissed. Concerned when Trump fired FBI Director James Comey not long after taking office, McCabe also said Justice Department officials had discussed bringing the Cabinet together to consider using the Constitution's 25th Amendment to remove Trump from office, according to CBS, which conducted the interview and will air it Sunday on "60 Minutes." CBS described McCabe's comments on the 25th Amendment in a news story about its interview but did not release excerpts from that part. The Justice Department did not deny those discussions took place but said in a statement that Deputy Attorney General Rod Rosenstein does not believe there is a basis for invoking the 25th Amendment, which enables Cabinet members to seek a president's ouster if they believe he or she is unfit for office. McCabe's interview comes ahead of the release next week of his memoir, "The Threat: How the FBI Protects America in the Age of Terror and Trump." The book and the publicity around it are likely to refocus attention on the tumultuous eight-day period between Trump's firing of Comey and Rosenstein's appointment of Robert Mueller as special counsel to investigate possible coordination between the Trump campaign and Russia. The situation strained relations between FBI and Justice Department leaders, with McCabe becoming suspicious of Rosenstein and Rosenstein removing McCabe from the Russia investigation. McCabe is a frequent target of Trump's ire. He was fired from the FBI last year after the Justice Department inspector general concluded that he had lied during an internal investigation into a news media disclosure. The allegations, which McCabe has denied, have been referred for investigation to the U.S. Attorney's office in Washington. Trump responded on Twitter to news reports of the new interview, saying, "Disgraced FBI Acting Director Andrew McCabe pretends to be a 'poor little Angel' when in fact he was a big part of the Crooked Hillary Scandal & the Russia Hoax - a puppet for Leakin' James Comey. I.G. report on McCabe was devastating." The White House said in a statement that McCabe had been fired in "disgrace from the FBI because he lied to investigators on multiple occasions, including under oath" and that he had no credibility. 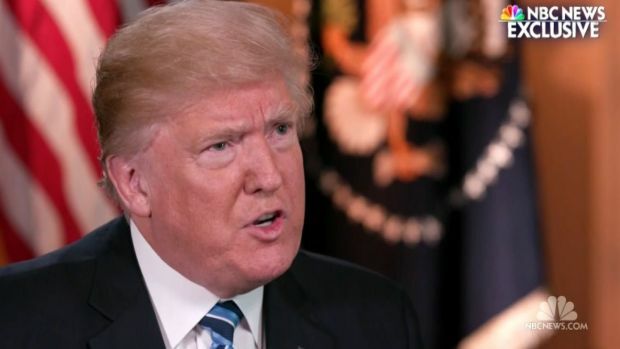 In an exclusive interview with NBC's Lester Holt, President Donald Trump claims that he was going to fire former FBI director James Comey regardless of recommendations to do so, claiming responsibility for an action that sparked instant outrage with most Democratic and some Republican lawmakers. Acting FBI director Andrew McCabe says the Russia probe is still ongoing. Asked in the CBS interview when he had opened a counterintelligence investigation into the president's connections to Russia, and a criminal investigation into whether the president had sought to obstruct justice, McCabe said he acted swiftly after Comey's firing and after he discussed that dismissal with Trump in an Oval Office meeting. Alarmed that Trump "might have won the White House with the aid of the government of Russia," he assembled his investigators the following day to discuss how to keep the investigations moving forward in the event he was fired or reassigned. "I was very concerned that I was able to put the Russia case on absolutely solid ground, in an indelible fashion," McCabe said. "That were I removed quickly, or reassigned or fired, that the case could not be closed or vanish in the night without a trace." 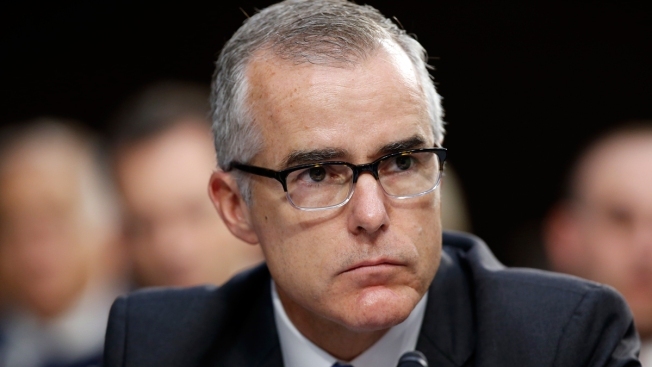 McCabe added: "I wanted to make sure that our case was on solid ground and if somebody came in behind me and closed it and tried to walk away from it, they would not be able to do that without creating a record of why they made that decision." In a book excerpt obtained by "The Atlantic," McCabe said the meeting with investigators was the first in a series he held to protect and preserve the probe. 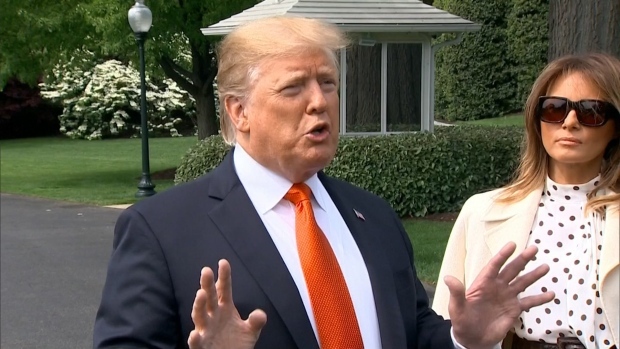 He asked the team to say where they were on investigations that already were open into Trump campaign associates, including former campaign chairman Paul Manafort, and asked whether they needed to open additional cases. According to the CBS report, McCabe confirmed meetings at the Justice Department in the days after Comey was fired in which officials discussed potentially invoking the 25th Amendment to seek the president's removal. CBS said McCabe also confirmed a report first published by The New York Times that Rosenstein had suggested wearing a wire to record conversations with the president. McCabe told CBS that he thought the comment was meant seriously. The Justice Department has previously issued a statement from another official in the room who said he interpreted Rosenstein's remark as sarcastic. The Justice Department issued a new statement Thursday asserting that Rosenstein "never authorized any recording that Mr. McCabe references." "As the Deputy Attorney General previously has stated, based on his personal dealings with the President, there is no basis to invoke the 25th Amendment, nor was (Rosenstein) in a position to consider invoking the 25th Amendment," the statement says. It also notes that Rosenstein removed McCabe from the team of investigators and instead appointed Mueller as special counsel.